Florida Athletic Director Scott Stricklin has probably mentioned it a half dozen times, one way or another, over the last month since Jim McElwain was let go as the head coach at Florida. The strength and conditioning program for the football team has to have a major overhaul. Having worked with Dan Mullen at Mississippi State for several years, it was a key aspect to the hiring of Mullen and something both will take seriously moving forward. 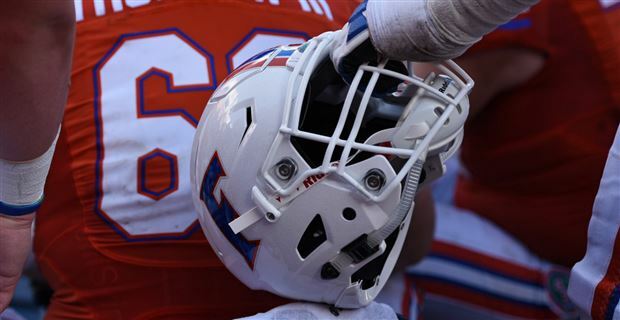 Mullen spoke to his team briefly on Monday, his first day on the job, and warned them of what is coming in terms of them getting worked physically in the new strength program. “I told them to rest up over the month of December,” Florida’s 27th head coach said. “Because when they come back in January, it's probably going to be something they have never even experienced in their life before… our off-season conditioning program. When Stricklin announced the hiring of Mullen via a statement, the strength program was something he made note of. “Coach Mullen will do a tremendous job in developing accountability and toughness through a well-coordinated strength and conditioning program,” Stricklin would say in a drafted statement outlining all the critical points for the hire. When asked after Mullen spoke to the media Monday, Stricklin spoke on the importance of a drastic change in that area of player development for the squad. "I think it's critical. It's the backbone. I think any successful program has a really strong strength and conditioning program that builds accountability and I think programs that aren't as successful usually are lacking in that area." When asked how long it would take to turn things around in Gainesville, Stricklin went right to the strength program as a major factor for that happening sooner rather than later.